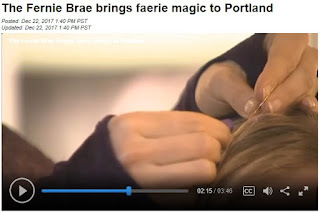 Here is a link to the Faery Hair Sparkles TV spot at the Fernie Brae in December! What fun! Friday, February 2nd: 11am-6pm, Faery Hair Friday at the Fernie Brae, 4035 SE Hawthorne, Portland, drop in! Thank you so much for your patience during my move, I know I've been tough to get a hold of, and I appreciate your efforts so much and want to connect with you! Still settling into the new place (still in Portland, for now). Feeling a bit anxious and frazzled, but better. I am so grateful to all of my customers for your support, I couldn't do this without you! Eternally grateful, from the bottom of my heart. <3 <3 <3 Thank you.